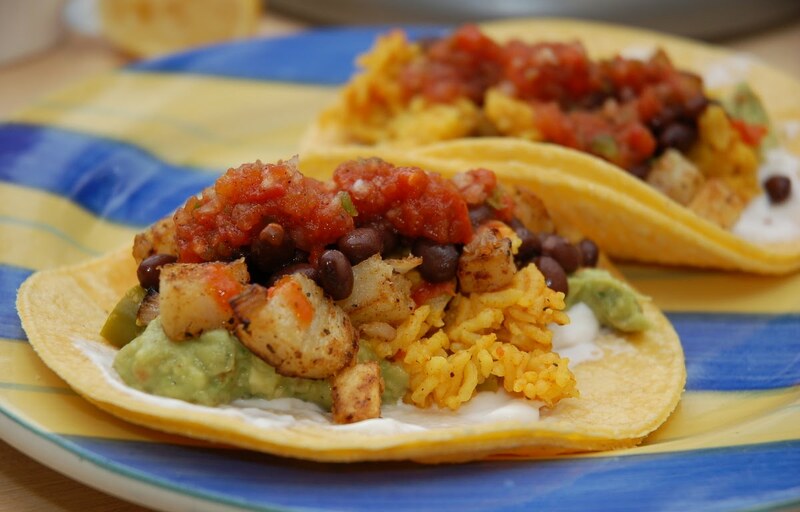 Mission doesn't use animal ingredients in their corn or flour tortillas. I'm really considering making my own corn tortillas in the future, so if anyone has a good recipe, please pass it along. I have a really strong fetish for kitchen gadgets and have a tortilla press, so it's really shameful that I don't use it more often. 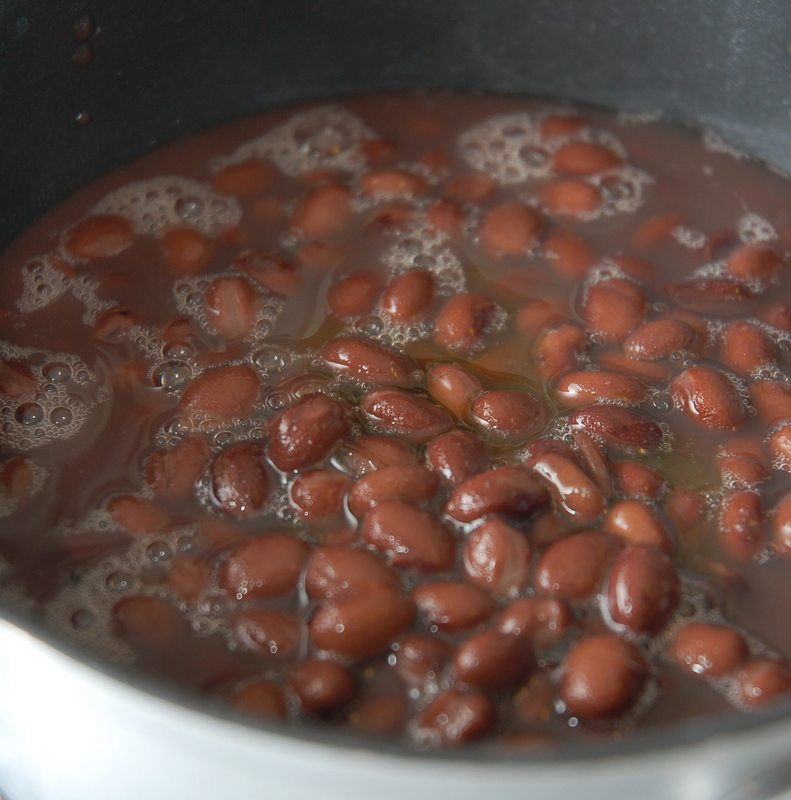 For the filling, we usually start out with some black beans, either homemade or from a can. 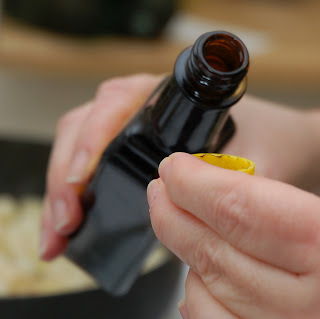 To doctor these up, we add a smidge of liquid smoke, the juice of half a lime, 1/4 chopped onion and some black pepper and simmer while everything else is getting made. Easy on the smoke, and, as I've said a million times before, get a good brand, not that stuff that costs a dollar and tastes like chemicals. 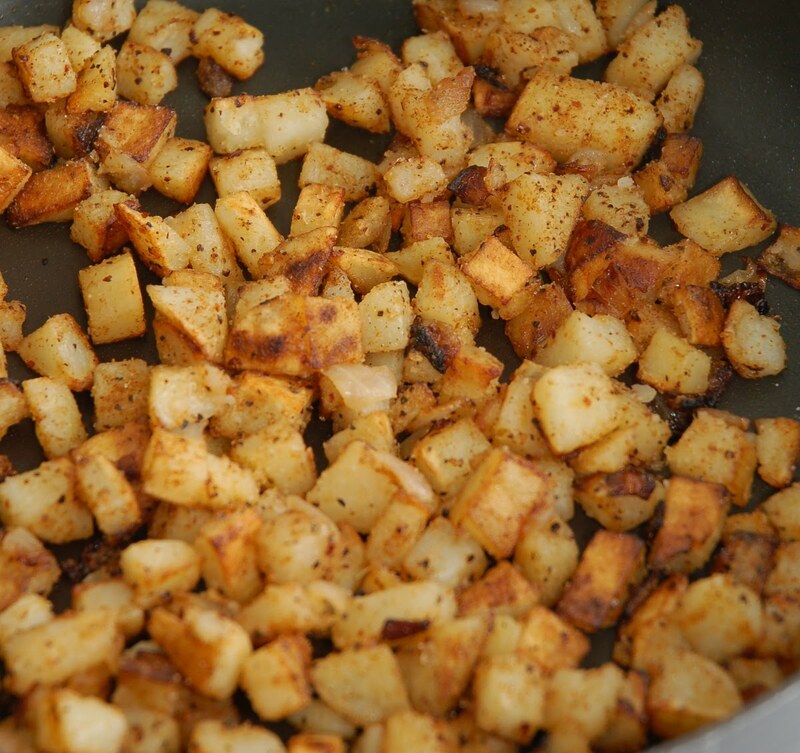 We add smoky fried potatoes for some crunch. Here's the recipe. 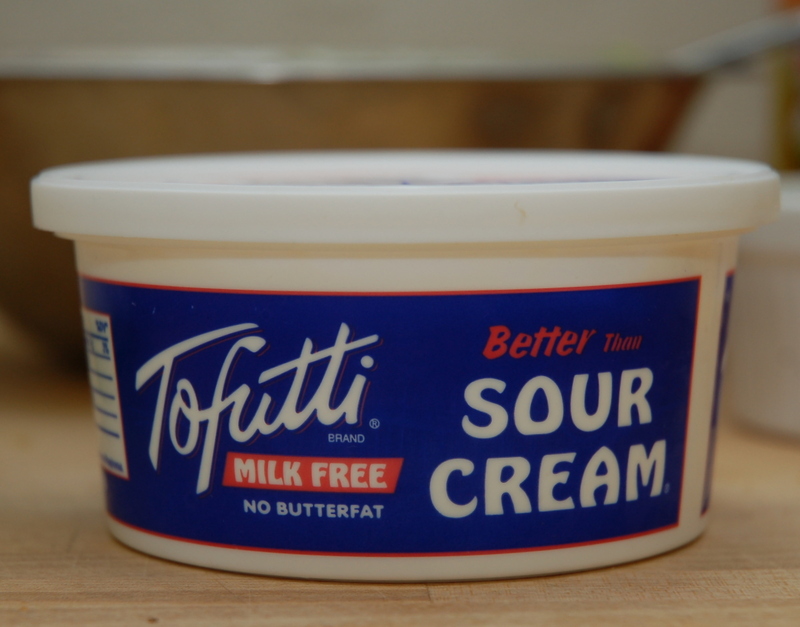 I'm not that much of a fan of the Tofutti sour cream. It's edible, but I could totally do without it and it's expensive. This kind in the blue tub doesn't have trans fat. The other Tofutti in the white tub does. 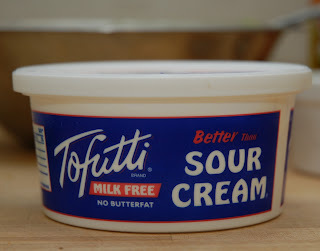 The day I got this tub, it was right next to the Follow Your Heart brand (also with no trans fat), so I kind of just did Eenie Meenie Minie Moe and picked one. Since then, I've heard that the Follow Your Heart brand is the one to buy. I'll try it when I run out of this and report back. If you've had it and can compare, do leave a comment. 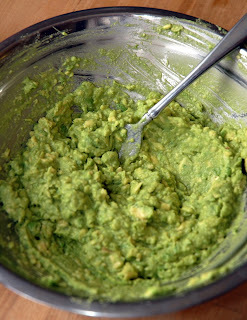 In lieu of sour cream, though, I really just like guacamole. It gives me the creamy feel that I'm looking for. I'm starting to think that one necessary feature of any future home I live in is going to be an avocado tree. I'm not even kidding. I feel like I've got to stop eating so many of them or I'm going to set myself up for an allergy like I did with coconut. Boo Hiss. Here's a recipe for that. If I have salad greens or lettuce around, sometimes I will add that. Sometimes I make Spanish rice and either serve it on the side or add it right to the taco. 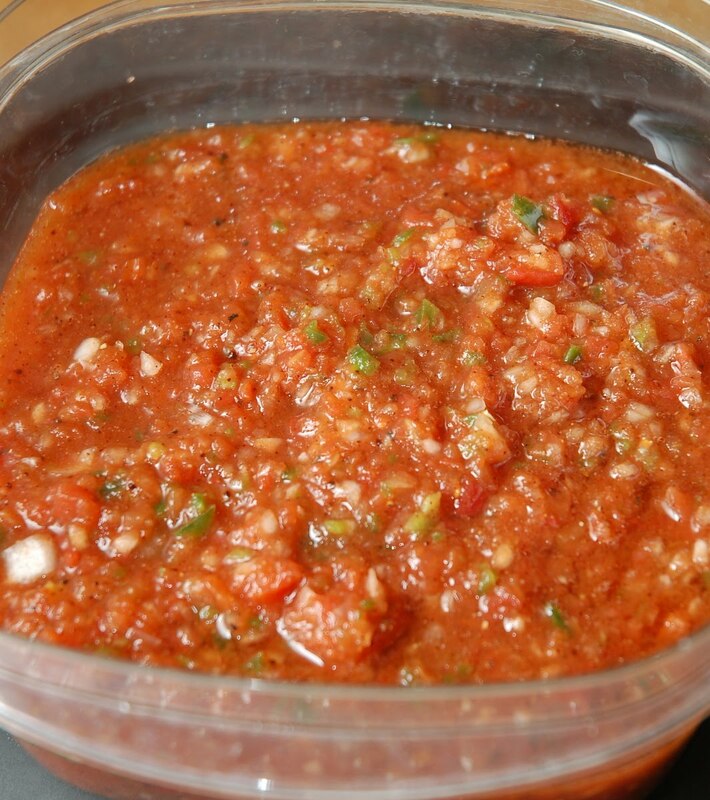 We like to throw a little Marie Sharp's habanero sauce on them for heat. Boyfriend crumbles up a few chips on top of his and both he and Jacob will usually eat theirs with cheese. Usually when we're cleaning up, we just throw the potatoes and beans right into the rice pot and I'll heat it up the next day on tortillas with whatever salsa is leftover. This amount of food has a way of feeding three people three times (two dinners, 1 lunch) so it's a weekly event that frees up a night of cooking for me.